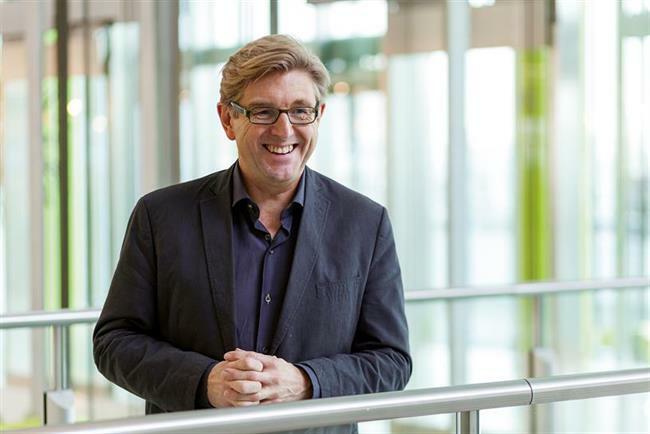 Campaign is showcasing the six chief marketing officers shortlisted for the World Federation of Advertisers' Global Marketer of the Year award. Read on to find out how to vote and why the chief marketing and communications officer for Unilever has been nominated. Unilever has been banging the drum on issues of viewability, verification and value since Cannes in 2015 but Weed says that the action being taken this year has been both "rewarding and encouraging". "It is imperative that we clean up the digital media sphere otherwise we will see viewers stop viewing, advertisers pull advertising and publishers stop publishing," he says. The challenge is not simply to achieve what’s been demanded in 2017 but to continue the process so that the industry starts "joining the digital dots to build a high-quality digital ecosystem" with much more on his to do list. "I will continue to champion improving the 3V’s of visibility, verification and value. In 2018 we need to advance the agenda on seeing one consumer, one budget – not different budgets for different parts of consumers’ online and offline lives. "In order to do this we need one ratings and measurement view across the industry, which will allow us to start creating a more efficient media market. To build the transparency into the system we need to track and transact across our entire media spend, and to start to measure total audiences," he says. Weed is keen to share the credit. "This builds on the work of #SeeHer, which was created by Unilever’s own Gail Tifford and Female Quotient’s Shelley Zalis. Not only has the Alliance given us the opportunity to go global but also to look at broader stereotypes than gender," he says. Such efforts demonstrate the role that purpose has at Unilever and how it’s driving the business as a whole. The company says its "Sustainable Living brands" are growing 50% faster than the rest of the business, and delivering more than 60% of the growth. "We now have 18 Sustainable Living brands in the top 40 Unilever brands, including all of our top five brands – so this is not something we are trialling with small, niche brands in a corner of the business, it is important and mainstream. As consumer demand continues to drive brands with purpose, our results show that sustainability is good for business," says Weed. Dove, for example, has long been at the forefront of exploring brand purpose. The Dove "Self Esteem Project" has since its launch in 2004 engaged with hundreds of thousands of teachers, parents and youth leaders in order to ensure the next generation grows up with a positive relationship with the way they look. "We’ve already reached over 20 million young people in 139 countries, and our global mission is to reach 20 million more by 2020," he says. "We want our marketers to be much more nimble and agile and respond to consumer needs in today’s fast changing world. We are empowering our people to take decisions where the information lies, rather than going up and down chains of command, which leads to much greater engagement across the board," he says. Change is also affecting external partnerships, too as Unilever slims down its roster. In 2017 that means it has reduced its partners by half to avoid the fragmentation of budgets and time. "We are working more closely with those that remain, enabling them to drive our brand growth in a more consistent manner. We have also moved to a remuneration model which is based on outputs and outcomes against commons business goals, which rewards true partnerships, over a more traditional supplier-style relationship," he says. "It comes down to scale and insight. Global marketers need to work at scale with universal human truths, providing a consistent experience in a world where technology does not respect country boundaries," he says. "The skill of a local marketer comes from that absolutely clear local insight, and being able to act in real time, in the culture and the language to connect with their consumer." For those who want to take on these roles he suggests that they simply "live the space," get out there and understand what a global marketplace connected by technology looks and feels like. "We would never ask a marketer who has only ever heard a radio to make a TV ad, but we seemingly routinely expect marketers who have little social presence to create efficient digital campaigns. It seems like madness to me," he says. Understanding the digital ecosystem is essential if marketing is to deal with its biggest challenge in 2017 and beyond, "cutting through and being relevant to consumers in today’s cluttered world". "More and more people are filtering their ad experience, either through ad blockers, or simply because of the volume of content they are exposed to every day. Marketers today need to be bold enough to take risks to stand out, but even simply getting your head around all the new tech can be overwhelming. It’s a complex world, and marketers need to be constantly adapting and evolving to stay on the front foot," he says.